<?xml encoding="UTF-8"> Pedros Mexican Restaurant has the best Mexican food in Glendale, AZ. Welcome to the home of the best Mexican food in Glendale, AZ. 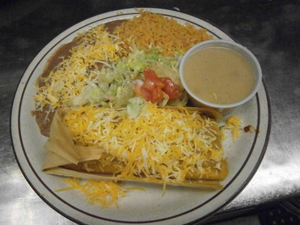 Pedro's Mexican Restaurant has been serving up delicious Mexican comfort foods for over 33 years. We are the "Home of the Half Pound Tamale"! Our reasonably priced menu offers a wide variety of foods, with something sure to satisfy any craving. Pedro's Mexican Restaurant puts our customers first. We work hard to ensure your dining experience is a pleasant one. Our customers keep returning week after week for our delicious food and fantastic service!